Social media has become the medium of choice for K-pop artists to reach out to their fans. Whether it’s Twitter, Facebook, Weibo, or Instagram, there is a constant connection and outlet. This is especially important for international fans. Lately, artists have gone one step further: YouTube. Yes, YouTube is one way the Hallyu Wave has been able to spread so rapidly. But, this goes beyond just MVs, dance practices, and covers. Now, YouTube is a method of spread awareness of groups without the benefit of reality and variety shows. There a plethora of videos and styles being employed by groups. While some of us remember shows like 2NE1 TV and Jay Park TV, there are new kids on the block. Here’s a handy-dandy guide to the types of videos and who to check out. We all wonder what it’s like for idols backstage. Do they talk to each other? Do they sleep? Or are there other things? Well, thankfully, some artists give us glimpses. These videos generally devolve into a mass of craziness and questions of sanity. BtoB is one of the leaders in this category with BtoB MSC (season two has been dubbed BtoB MSC: Black Box). Their self-camera videos are rather hilarious. 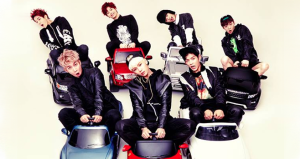 BtoB has a knack for completely dropping any semblance of proper behavior. The videos make it hard to believe that Eunkwang is the leader, too. Bangtan Boys (BTS) is also a group to keep an eye on. Their BangtanTV channel features the rather hilarious Bangtan Bomb. Typically a few seconds long, these videos feature a behind-the-scenes look of the group: girl group dances, song covers, trolling, and maybe even glimpses of other artists. This look is generally nothing but silliness. Especially with the special butterflies of the group, V and J-Hope. Members also do video logs, which they started before debut. These natural videos are the diaries of the members, where they discuss their work and lives. Although extremely busy, groups also try to reach out regularly to their fans. To facilitate this, some post weekly, or at least regular, updates from artists. VIXX TV. Need I say more? If you haven’t seen VIXX’s weekly subbed videos, you are missing out. 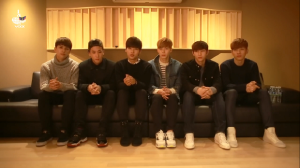 The group started the video rather soon after debut, so they’ve recently posted their 96th episode. These videos are actually where Hongbin gained popularity in being called “Artwork.” For the most part, he only spoke when told he could, and would simply be there looking pretty. 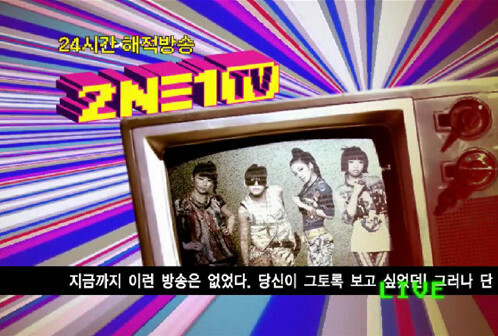 In essence, the videos are a glimpse into the personalities of each member, as well as clips of their idol life. Currently in its second season, A-Prince TV is a regular (subbed) addition to fan outreach. A-Prince isn’t that popular of a group, but their videos are sure to either make viewers laugh, or die from the cuteness overload. Shows like Showtime! and Match Up are probably familiar to K-pop fans. These variety shows featuring artists are important for popularity growth. However, not all artists get the benefit of featuring on a show. So, what should they do? Well, they create their own show. From missions to general discussions about themselves, these videos take the air of actual cable programs. 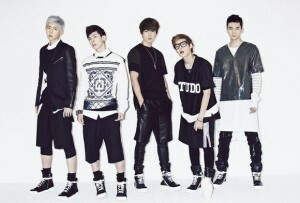 GOT7 recently just wrapped up Real GOT7. Although it only lasted a few weeks, the weekly show was a way for the group to bond. Each week involved either a mission or special format, from hidden camera pranks to fan chats. You can actually see the members grow during the process. It is also more entertaining than Real 2PM has been lately and is conveniently subbed for viewers. HISTORY’s Panda PR is a good show to watch, as well. With a multiple episode format, the group has the overall mission of proving themselves to be the best at promoting the group. The mini-missions within each episode highlight their talents and personalities. Similar to reality shows, there are also videos that follow a group’s daily life. Generally uncensored and unproduced, viewers are awarded with rather natural interactions and activities. The latest group to join the foray into personal videos is TOUCH, with their new show With TOUCH. Amusingly as a tactic to promote the group more, the first episodes have followed each individual member during a day. You get to see them at the studio, school, or their homes. Given that the group has gone through some membership changes, these videos are imperative in introducing the group as it is now. That is especially true with new member Sanguk, who turns out to be quite the dancer. Of course, most shows aren’t subbed, so you must search for some generous soul who has subbed the videos. Also, 1theK, formerly known as LOEN, is a channel to learn different things about your favorite artists. Between their C.S.I and I’M segments, the videos are a great substitute for lack of television appearances and other videos. So, if you want to find out more about groups, or need help choosing a bias, tune into these shows and enjoy the entertainment.